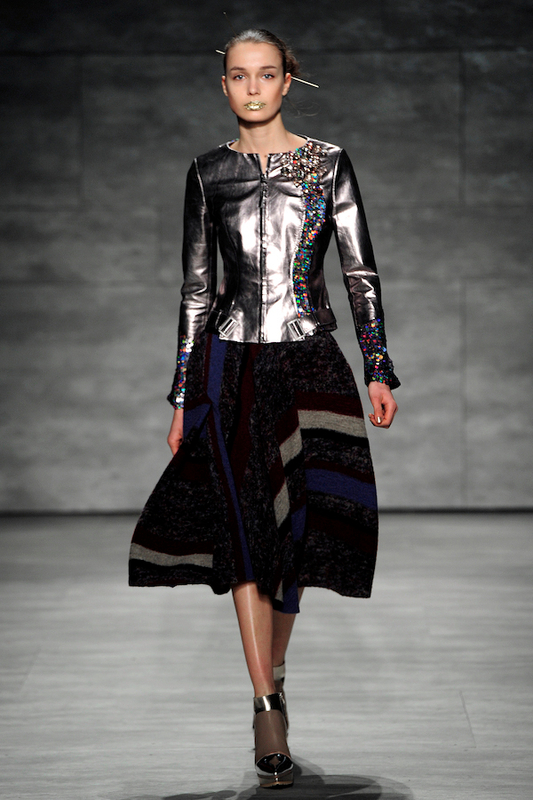 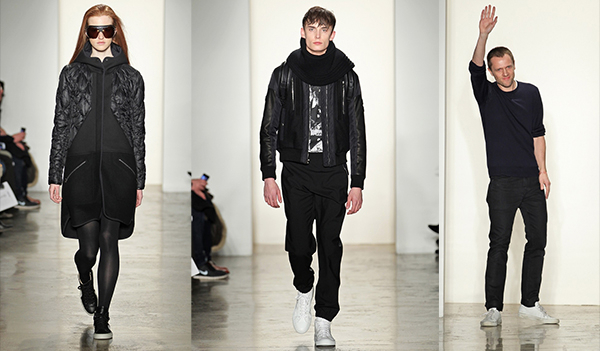 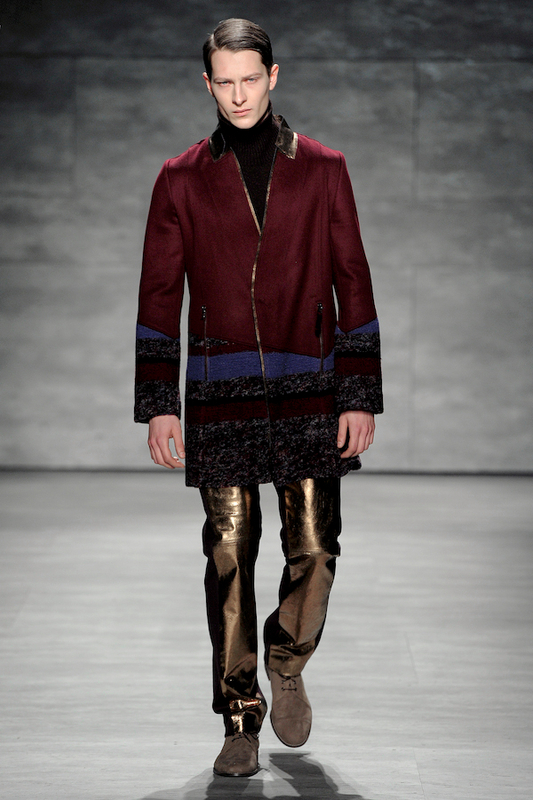 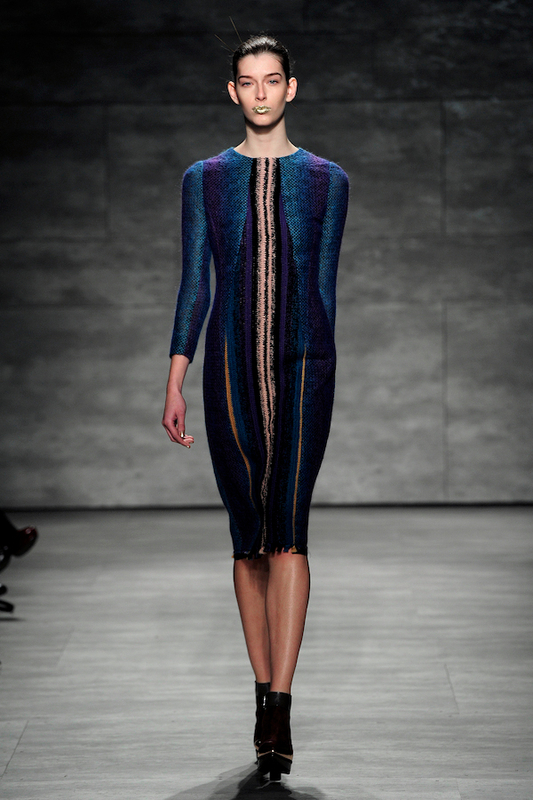 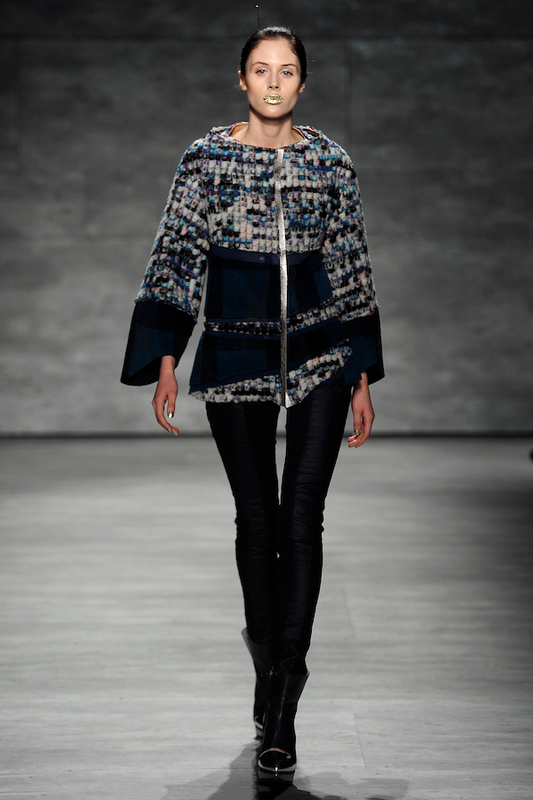 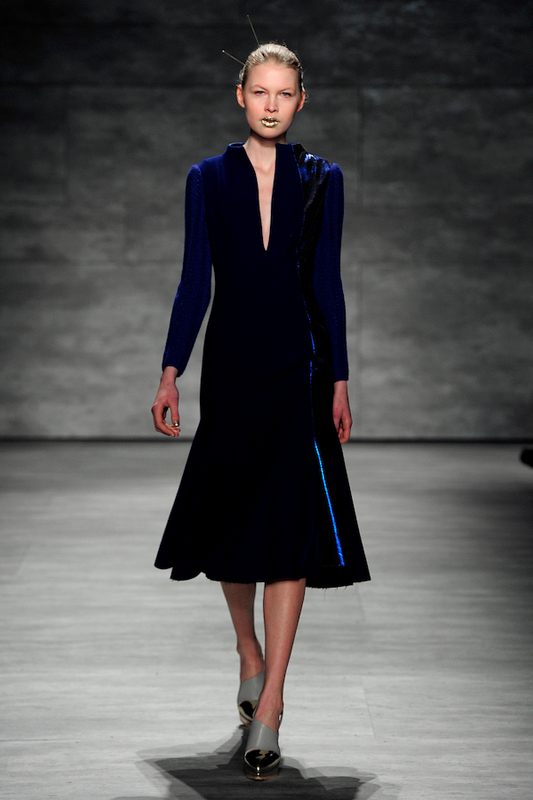 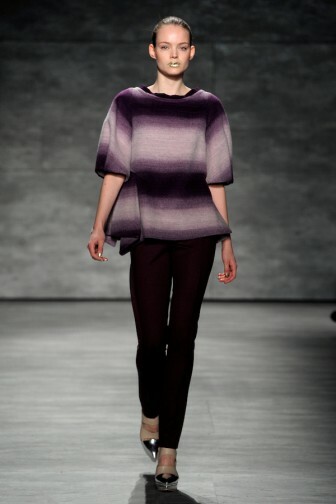 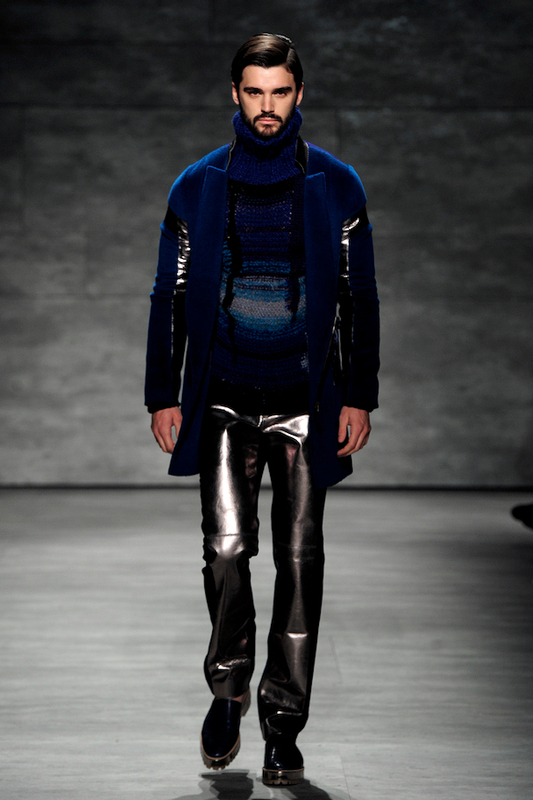 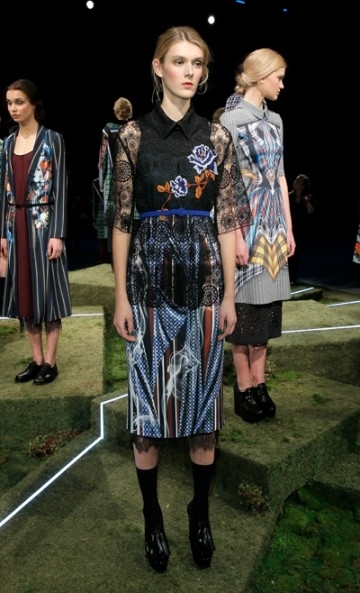 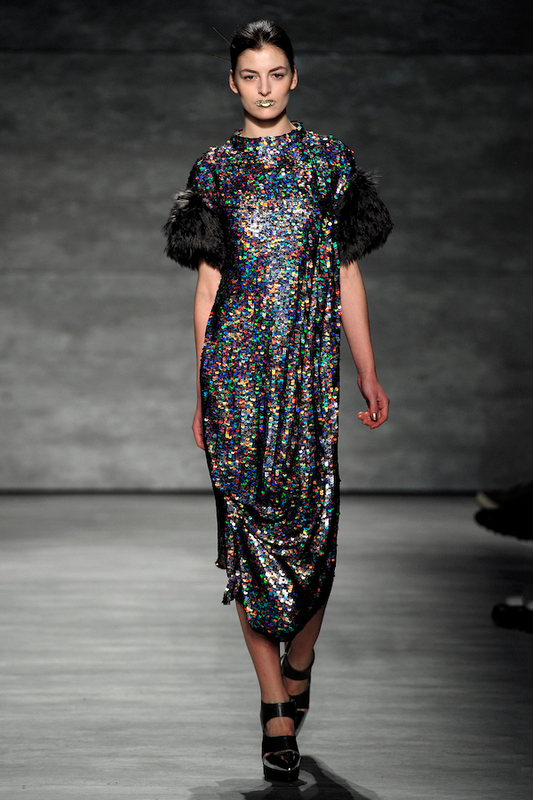 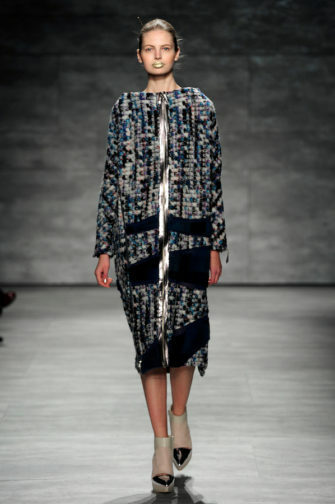 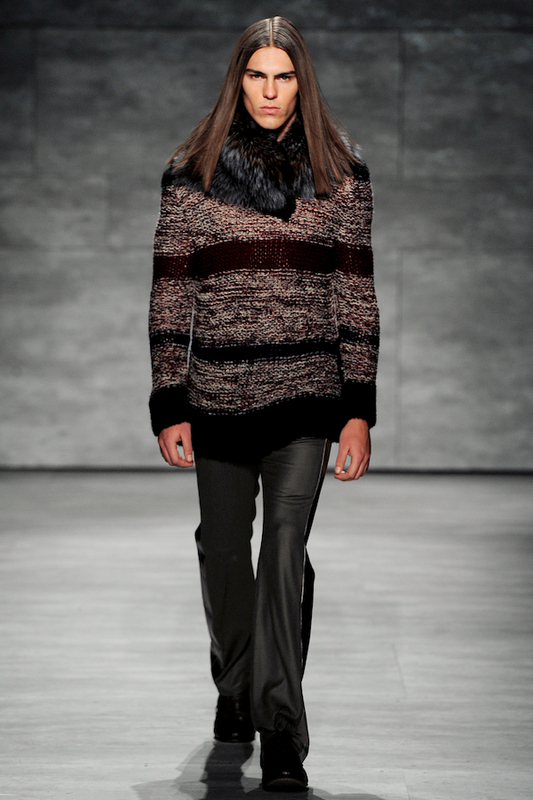 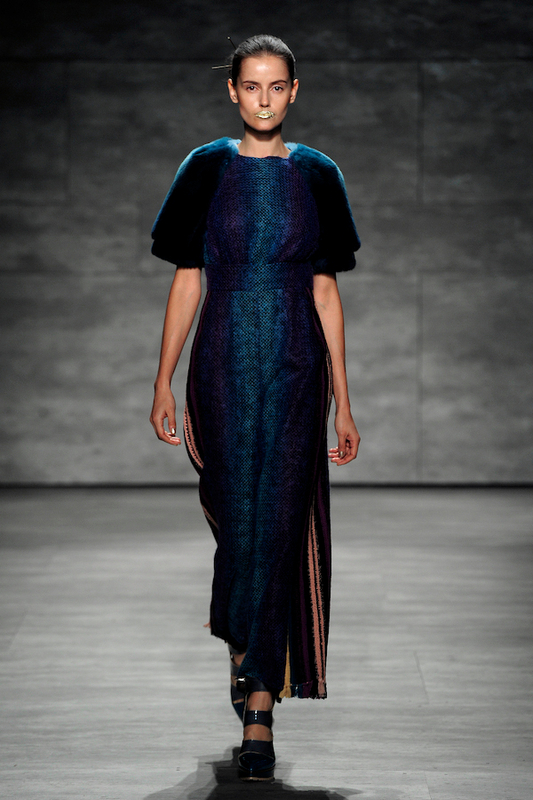 Newer to New York Fashion Week is Korean designer Son Jung Wan. Wan’s autumn/winter collection stood out in several ways against her competitions’ shows. 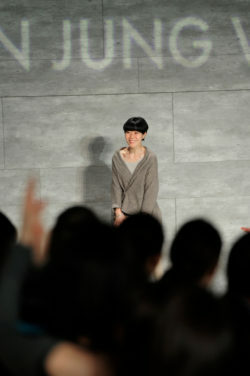 A large majority of the shows so far have been in a single moment, or gave off a single mood; Wan’s told a definite story that kept us hooked the whole way though. 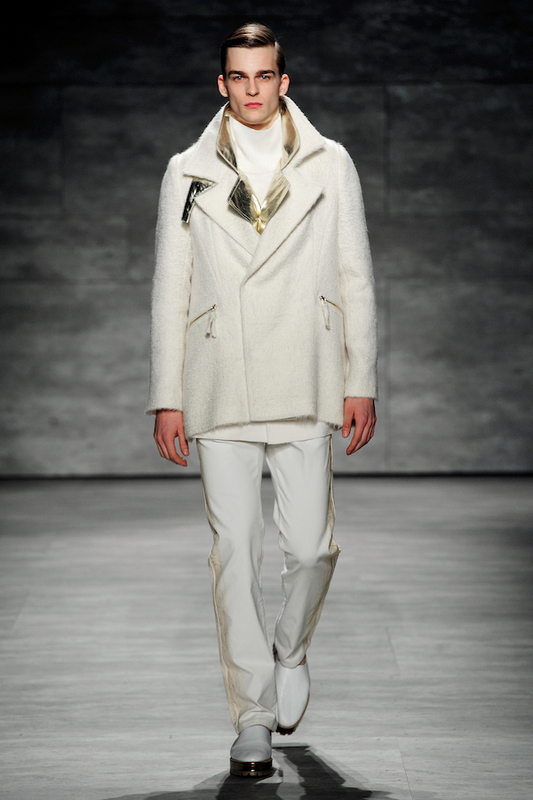 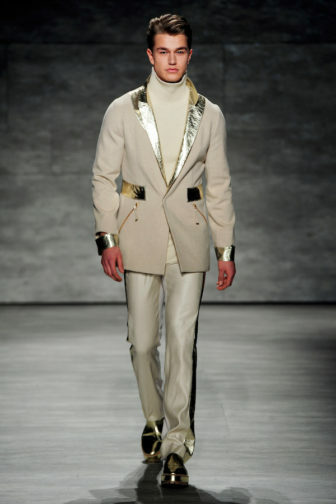 The show began with bright white silks contrasted by gold-foiled leathers that shimmered like a second skin. 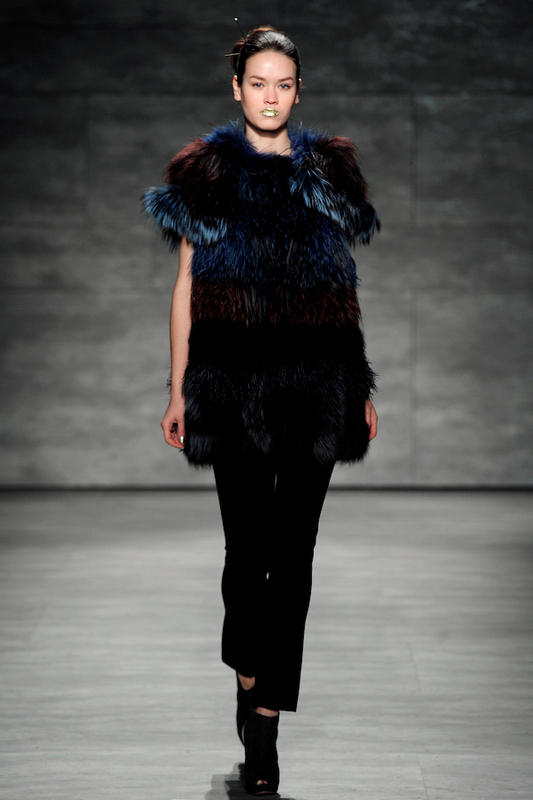 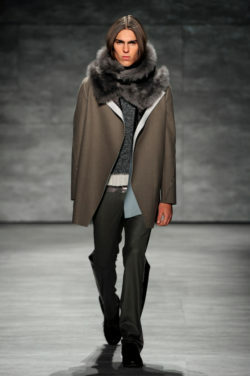 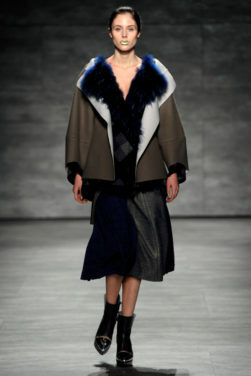 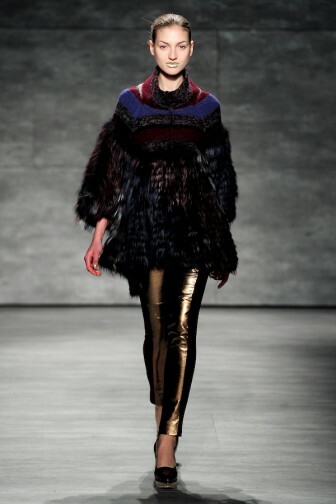 Large white furs also created textural contrast in her fitted silhouettes, almost seeming to hide the model completely. 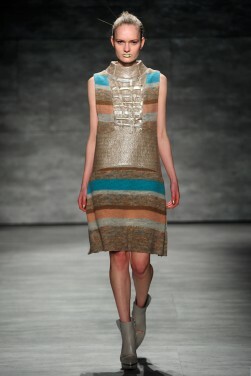 The whites were then followed by a series of pastels: pinks, blues and yellows. 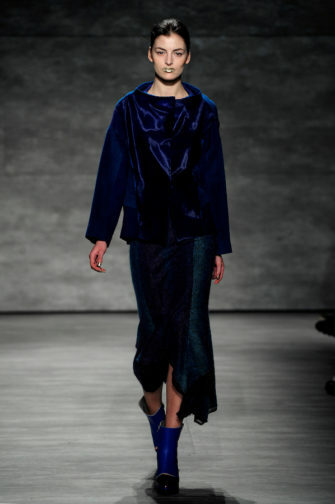 These initial light colours were incredibly refreshing options for autumn/winter, and paired with a statement gold-leafed lip, the audience was in the palm of Wan’s hand. The clothes began to take a turn as colours became richer; royal blues, burgundy reds and warm browns leaked their way into the clothes. 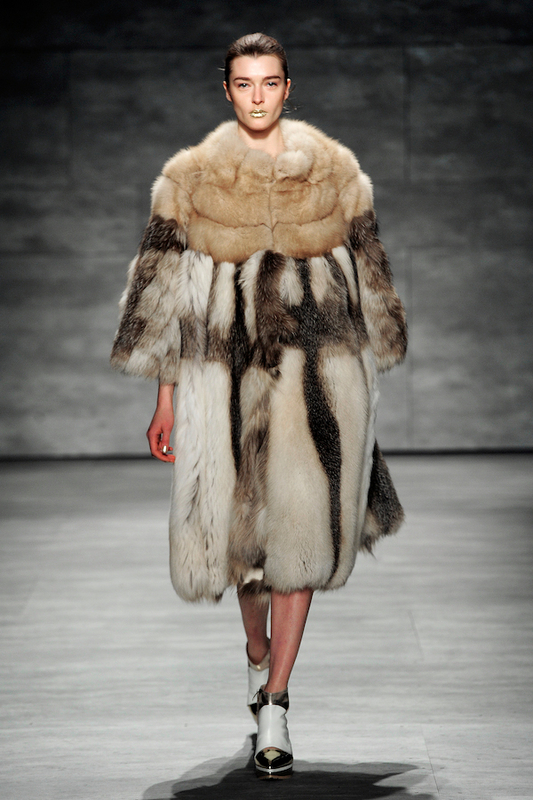 Textures remained in variety, with thick furs in the same look as clean cashmeres and silk crepes. A few dresses toward the end were made almost entirely of multi-coloured sequins that absolutely sparkled as they sashayed down the runway. 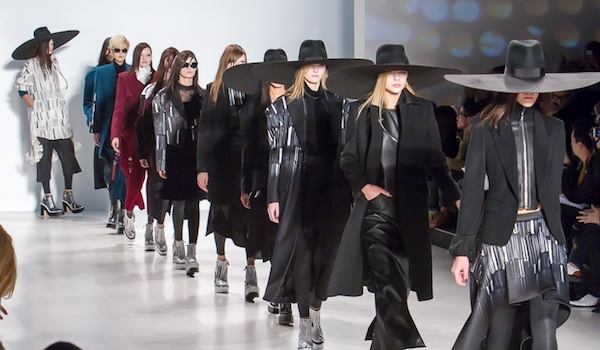 Wan’s show was quite the spectacle, and it’s encouraging for designers to see us embrace a luxurious taste in clothes next autumn/winter. 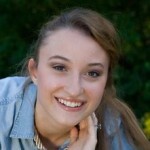 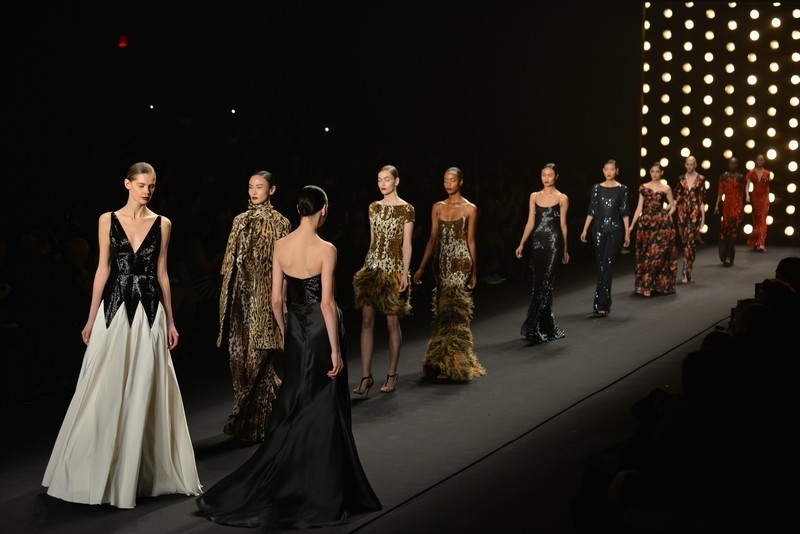 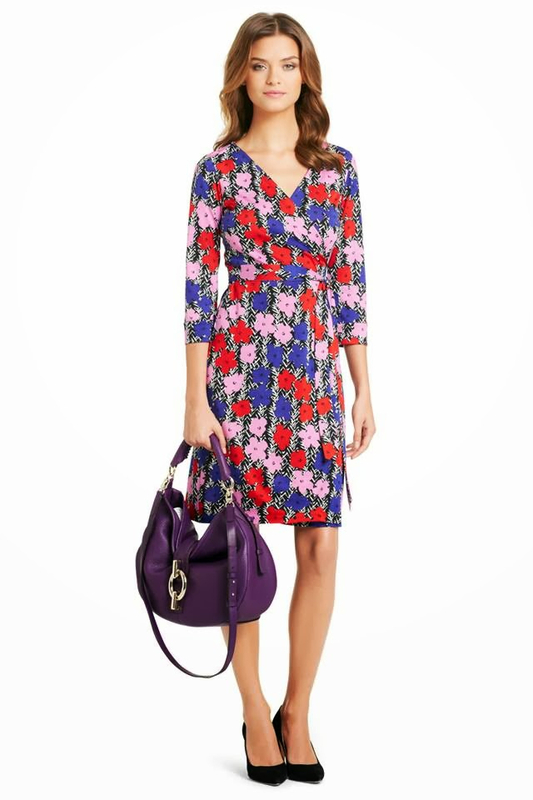 Should her designs not make it into stores, we hope they make it to the red carpet.